IBCP language development, or LD, is designed to ensure that all students, no matter what their background, have access to and are exposed to a language programme that will assist and further their understanding of the wider world. With a focus on the development of receptive, productive and interactive skills, students engaging in the LD component of the IBCP core will experience a language development experience, ending in the completion of a language development portfolio which connects their language development experience with their career-related studies and the Approaches to Learning course through a minimum of 50 hours of language development activities. Through four different options to allow for flexibility, students may meet this requirement by taking an additional Language Development Course extension connected to their DP Language B course, by reflecting on their World Language coursework or by developing a language development course of study to be approved by the IBCP Coordinator and school mentor appropriate for the proposed language to be studied. Language Development Portfolio: The language portfolio enables students to reflect on their learning and chart their progress in developing language skills and intercultural experiences. The language portfolio is a private document for the student to reflect on their learning, required but not assessed, and plays a vital role in helping a student to understand their level of language competency, reflect on their language learning and intercultural skills and provide evidence of developed language skills. Updated regularly over the two years of the IBCP, the language development portfolio will be an important part of both their academic studies as well as their preparation for further study or use of the language in their career. Students may complete this portfolio by paper documents or through the creation of an electronic folder or efolio. CP students planted the over 200 flower bulbs donated to Patrick Henry in the fall. 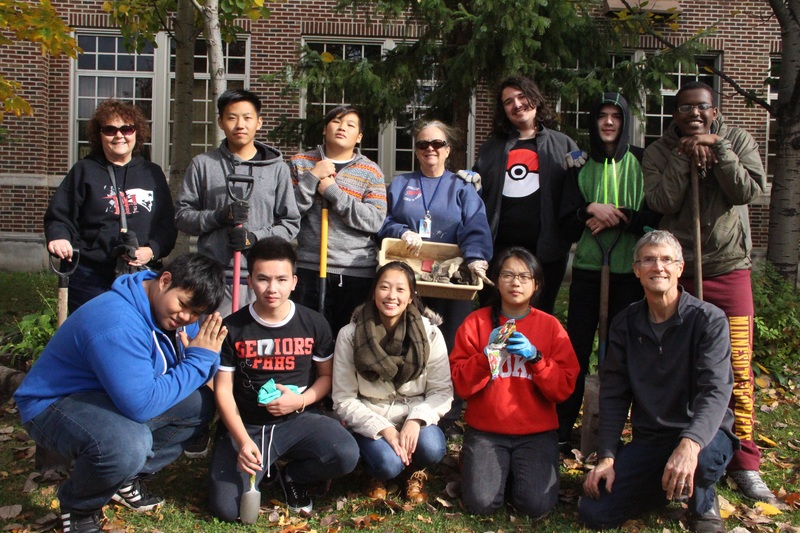 Students learned about the importance of diverse ecosystems for supporting pollinators in the neighborhoods, designed planting schematics for the grounds and planted the bulbs. Students will come together again in the spring to see the fruits of their labor and reflect on the success of their efforts. An understanding that many questions, issues or problems do not always have simple right or wrong answers. PPS meets the second semester of junior year and the first semester of senior year. In addition to a curriculum aligned with state standards focused on career skill development, PPS also supports students in meeting the requirements of the IBCP Core. The Reflective Project, or RP, is an in-depth body of work produced over an extended period and submitted toward the end of the course. It is a product of the student’s own initiative and should reflect his or her experience of the IBCP. Designed to draw together key elements of a student’s program, particular their career-related studies, CS experiences and ATL course, students must identify an issue of interest that they would like to explore in greater depth that arises from their career studies. Students identify an ethical dilemma associated with the issue and then undertake research on the ethical dilemma, including consultation with the local community. It is the ethical dimension of the issue, and not the issue itself, which is the focus of the RP. The end product highlights the thinking skills and communication skills developed by students in their ATL course including looking at multiple sides of an issue and then developing a well-reasoned argument based on appropriate supporting evidence. While most students will choose to write a formal essay, other possible formats for the project could be a website or web page, a powerpoint presentation, a dialogue, a short play, a short film, a storyboard or a series of photographs. Whatever the nature of the project, the work must be presented in a format that can be electronically sent to, or accessed by, the IB for moderation purposes. The maximum word limit for the project is between 750 words and 3000 words depending on the nature of the format of the RP. 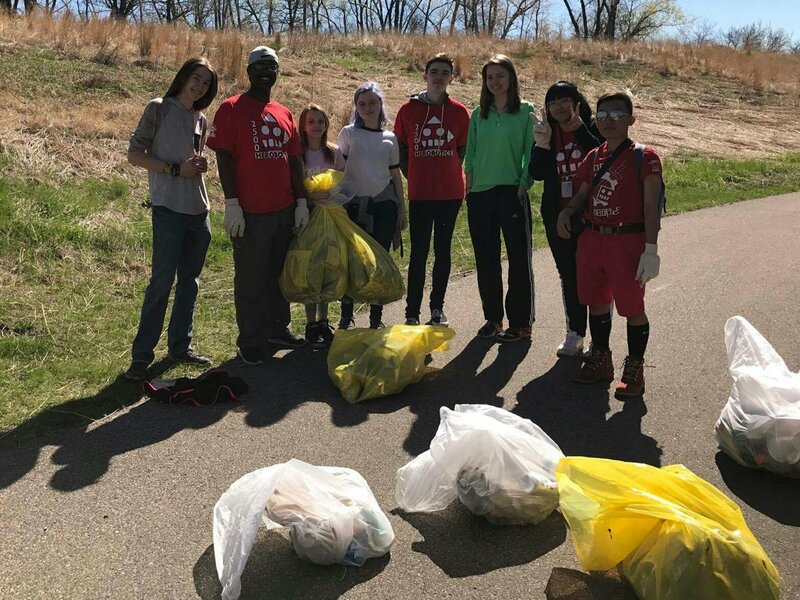 PHHS IBCP students and members of the PHHS Herobotics team help to clean up Shingle Creek on Earth Day (April 22, 2017). Supervision of the RP: It is the school’s responsibility to ensure that each student engaged in the RP receives direct supervision from a qualified person in the school who can provide appropriate guidance and confirm the authenticity of the work submitted. The supervisor is required to provide the student with advice, guidance, support and encouragement, discuss the choice of topic with the student, read and comment on the first draft only of the project, and monitor the progress of the project to ensure the project is the student’s own work. Service Learning, or SL, plays a prominent role in all IB programmes, including the IBCP, providing a vehicle for the foundations of a relationship between students and the community that emphasizes mutual benefit, and where the needs of the community are matched with the interests and skills of the students. In the IBCP, the SL experience(s) ideally connect to the career-related area of study as well as the student’s Reflective Project and provide opportunities for the development of learning, responsibility, practical skills, social skills and a sense of caring for others. The concept of community may be viewed from a local or international/global perspective and the concept of service is based on the principles of service learning, which are experiences that are both transformative in nature and that develop knowledge, self, social skills and civic engagement. Enhance the existing school curriculum. Through a minimum of 50 hours, students plan, implement and reflect upon their Service Learning experience(s), supported by a SL coordintor (the CP coordinator at PHHS) as well as by critical community and business partners. The Language Development Student Handbook -- Find information, required components and supporting documents for your IBCP Language Development Portfolio. IBCP Service Learning Student Handbook -- Find all you need to engage in the service learning component of the CP Core in this handbook.